our birthday is just too special for us to resist being a part of! 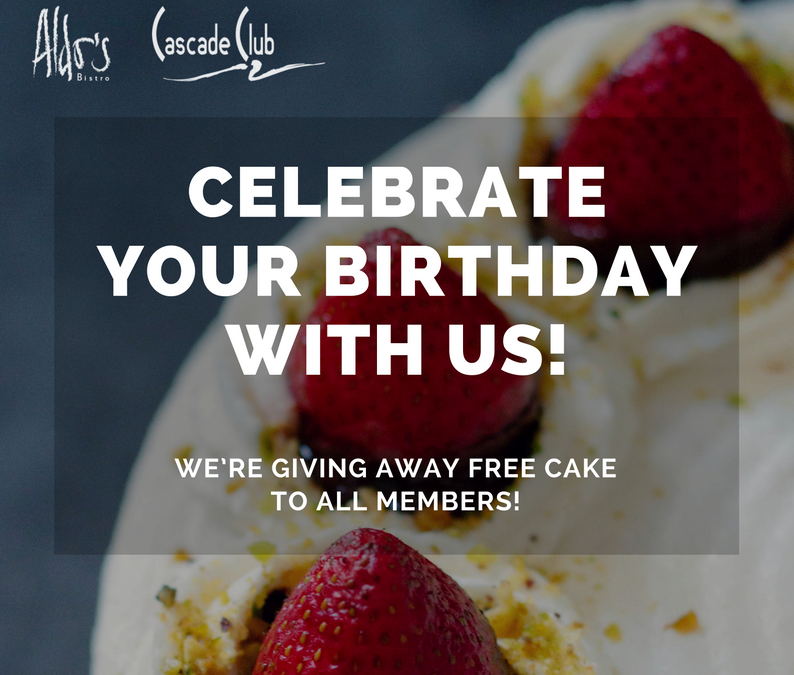 Get a member-exclusive, complimentary “Birthday Cake” when celebrating your birthday at Aldo’s Bistro & Wine Bar for Lunch or Dinner! – Book a table at Aldo’s and fill in the cake request form at the Club’s front desk, 3 days in advance. – A complimentary Birthday Cake cannot be redeemed for cash. – A complimentary Birthday Cake cannot be taken away or transferred. – A complimentary Birthday Cake is only available in the calendar month of your birthday.